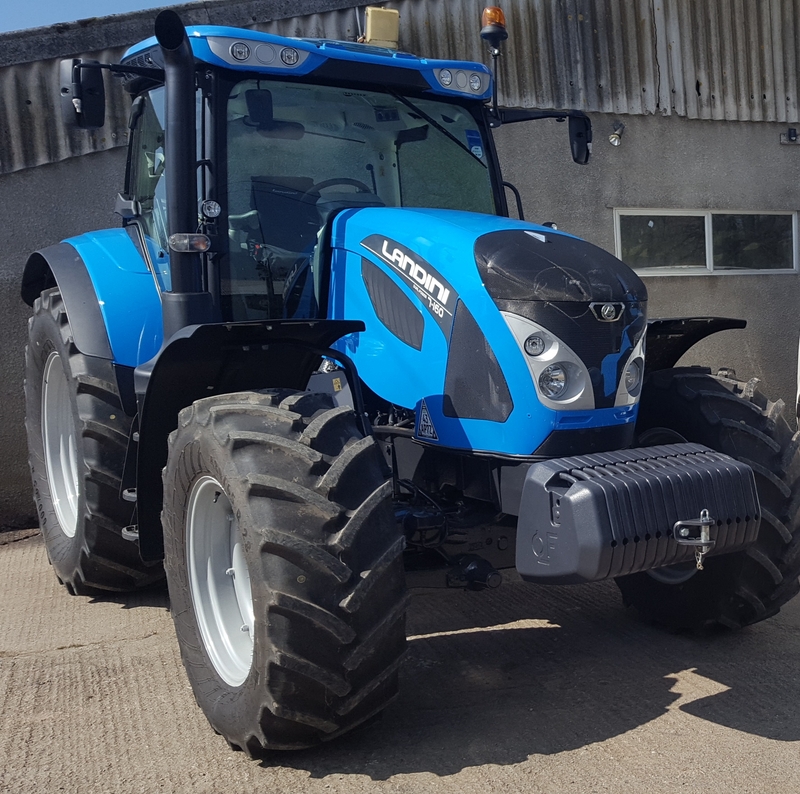 An ‘Active’ version of the new Landini 7-160 Roboshift tractor will make its working debut at the Grassland & Muck event in the muck and slurry handling demonstration area operating the new Maelstrom spreader from Harry West. Distributor AgriArgo UK has introduced the new ‘Active’ models as an alternative to the full-spec ‘Dynamic’ versions with a package of equipment that will appeal to operators preferring a simpler specification. 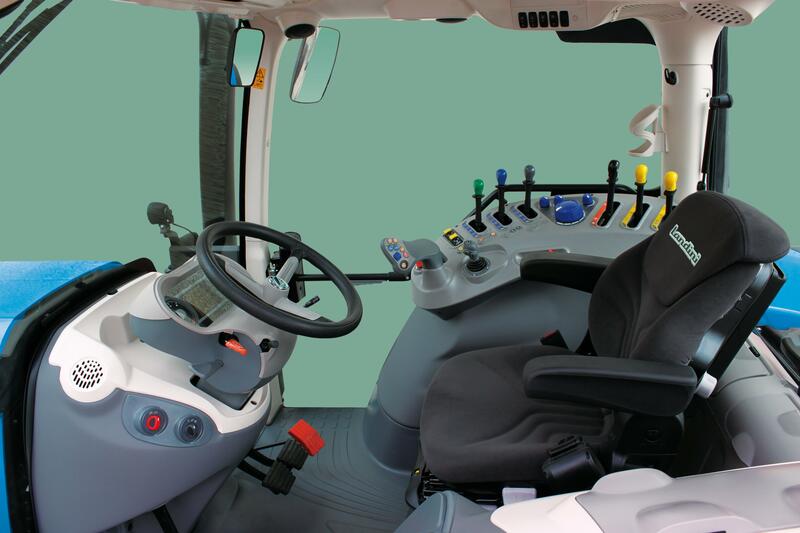 Controls are laid out on a side console instead of a seat-mounted armrest, mechanical spool valves are installed in place of electric valves, and there are fewer electronic features generally. While this creates a tractor without many of the ‘gizmos’ of the higher-specification machines, operators should not feel short-changed as the tractors still have the same high performance FPT Industrial engine, a semi-powershift transmission with smooth button-operated shifting, and pto and hydraulic systems well up to the job of operating modern farm equipment. The changes also result in a lower price point for the various models, making them a more affordable option for buyers happy to do without top-spec features but wanting a thoroughly modern power unit with a quiet and spacious cab. With a rated speed output of 152hp, rising to 160hp maximum, the Landini 7-160 Roboshift is a new addition to the range for operators who prefer the power and torque characteristics of a six-cylinder engine to those of a four-pot motor of similar output. In addition, the 7 Series tractors have a cast half-chassis, which combines with the longer wheelbase to provide greater stability for operating heavy implements, and provides a robust ‘backbone’ for the chassis structure. Whether equipped to ‘Active’ or ‘Dynamic’ specification, power and torque are channelled through the 24×24 (or optional 40×40 creep) Roboshift transmission, which has thumb-button shifting amongst the four powershift steps and between the six ranges. Buyers can choose 40kph, 40kph Eco or 50kph gearing, each with a four-speed pto package that includes eco settings for 540rpm and 1000rpm at the shaft. If hydraulics performance is not a priority, the standard 123-litre/min load-sensing pump can be exchanged for an 88-litre/min gear pump. Conversely, the 6300kg standard lift capacity can be upgraded to the 9300kg performance of the higher-spec Dynamic models. The new model is available from AgriArgo’s nationwide network of Landini sales, parts and service dealers. The Landini 7-160 Roboshift ‘Active’ with 152hp rated speed output, 160hp max extends the Landini six-cylinder range and is one of five new ‘Active’ specification models. Inside the four-post Lounge cab, where soft-touch materials and a big glass area help create a comfortable and relaxed working environment. The side control console of the new Landini 6/7 Series ‘Active’ specification tractors houses transmission, hydraulic, pto and other controls in a logically laid out arrangement.